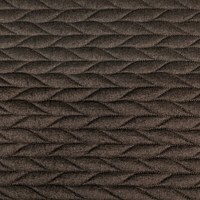 Our extra wide pre-quilted fabric measures 56 inches wide and is sold by the yard. 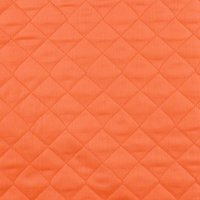 Prequilted fabric is made from two layers of fabric with a thin layer of batting inbetween. 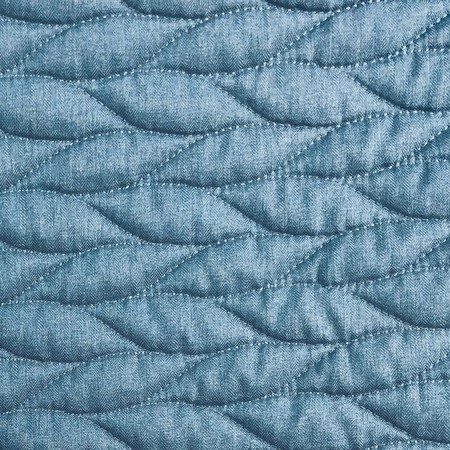 Featuring a solid blue, denim-like top and a soft, white back, this pre quilted fabric makes an excellent bed cover; simply add a binding. A tiny chevron pattern is laid over the solid blue background. Pre-quilted fabrics are perfect for sewing overnight bags, totes, and small accessory pouches. Laundering Instructions: Machine Wash Cold, Tumble Dry Low and Remove Promptly.